Please see our main books page for shipping information. 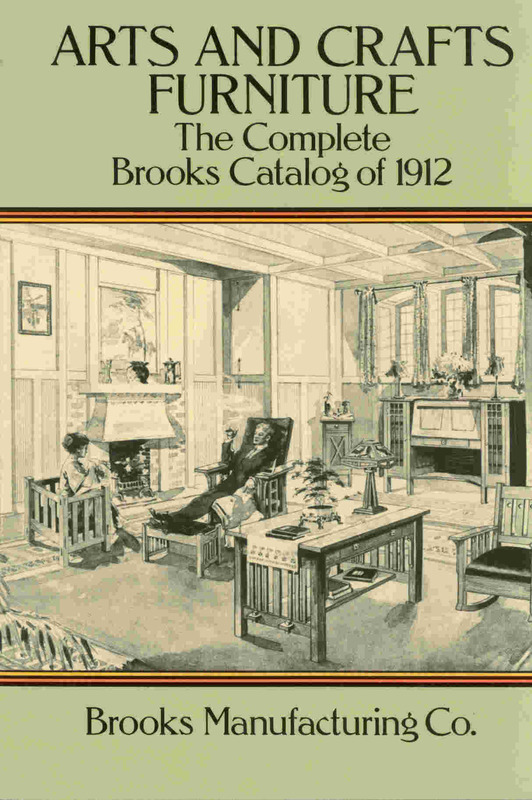 A paperback book measuring 6-1/2" by 9" with over 36 pages of furniture, and several more pages of "fiber" furniture, lighting, lace curtains, and rugs. While many of these items, i.e., curtains and rugs, have not survived, this book will give you a good idea of what period curtains and rugs look like. A unique feature of this book is a reprint of a table for calculating freight rates from Saginaw, MI to major cities in the USA. Based on this chart a dresser could be shipped from Saginaw to San Jose for $3.00. Today's cost would be 100 times that. By contrast today's prices for J. M. Young furniture is more than 100 times the original cost.